Big Island Northwest Shore Waikoloa, Condos, 5 star resorts and amenities. The Big Island Northwest Shore resorts. Resorts at the Waikoloa Village and Kohala Coast activities are on private coves with some great beaches. The north coast is also referred to as the “Kona Coast” which would include everything from Keauhou to the northern tip of the Big Island. The Kahala district is one of the most beautiful and remote places in the Hawaiian Islands. There are several world class beaches with 4 and 5 star resorts and vacation rental condos. The Big Island Northwest Shore is less crowded than Maui or Oahu and offers beaches that are equal or better than the Kaanapali beaches that are so sought after on Maui. The sightseeing and activities are more spread out with longer distances between towns. A great vacation destination in every way. Visitors will be delighted with the beauty and vastness of the Big Island Northwest Shore. The Hilton Waikoloa is on the Kohala Coast. This 62-acre oceanfront resort is a destination in itself. The setting of magnificent gardens and waterways, pools and waterfalls, all of it interconnected by trams and canal boats. The Fairmont Orchid is nestled in a quiet cove on the north end of the Kohala Coast. It is a few miles north of the shops at Waikoloa. The resort is elegant and quiet with a modest beach and excellent snorkeling. The Orchid’s 32-acre resort offers ocean front accommodations for those who are seeking secluded, elegant accommodations. The Hapuna Beach Hotel is adjacent to Hapuna public beach on the north end of the Kohala Resort District. Hapuna Prince Hotel is north of Waikoloa, adjacent to the Mauna Kea Hotel. These two hotels are each on pristine beaches and surrounded by golf courses that will challenge visitors who enjoy golf with world class courses. Unlimited golf tee times is an option at both resorts. This Luxury Hotel is on the Kohala Coast. The award winning Mauna Kea Beach Hotel continues to offer impeccable service that earned this resort its world-class reputation. 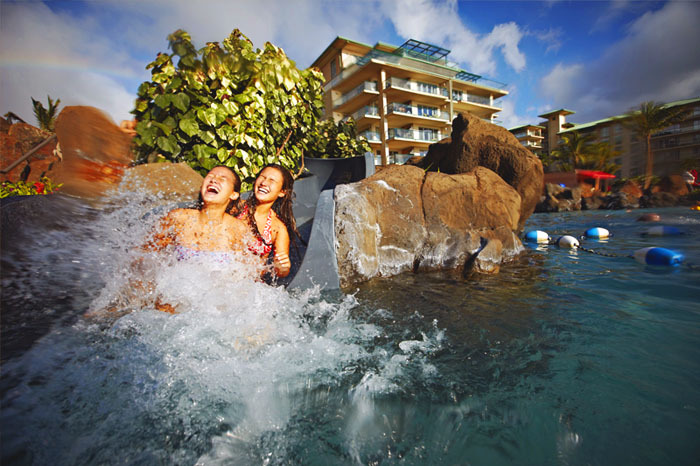 The hotel is embraced by the famed crescent-shaped white sand beach of Kauna’oa Bay on one side and the championship Mauna Kea Beach Golf Course on the other. Select from a variety of award winning dining experiences. This Deluxe Hotel is in Waikoloa Hawaii. One of the original resorts in Waikoloa, with 15 oceanfront acres, the newly renovated Outrigger Waikoloa Beach is a deluxe beachfront resort offering numerous amenities including tastefully appointed guest rooms, 2 championship golf courses, swimming pool, tennis courts and fine continental cuisine. Plus, Voyager’s Club accommodations include complimentary continental breakfast daily, evening cocktails and hors d’oeuvres and upgraded room amenities. Two Bedroom with Loft; Three Bedroom. Each unit is completely furnished with a full kitchen and washer/dryer. Shopping and golf are steps away at the King’s Shops and the Waikoloa Beach Golf Course. These luxury town homes are located within the Mauna Lani Resort, on the fairways of the Francis II Brown Golf Course. The split-level units are professionally decorated, with a minimum of 2300 square feet, and include private two-car garages, master bedroom suites with full master bath and private lanai, and spacious living and dining rooms with adjacent lanais. Two Bedroom or Three Bedroom. 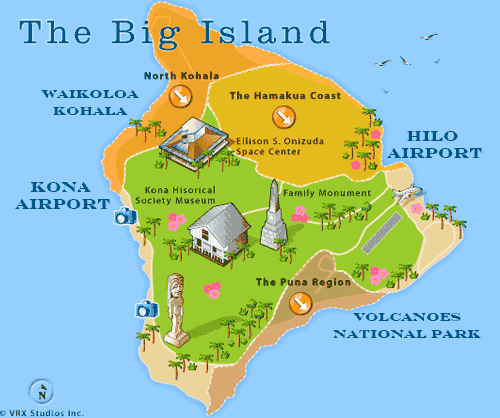 See also pages for Kona Hotels and Hilo Hotels.